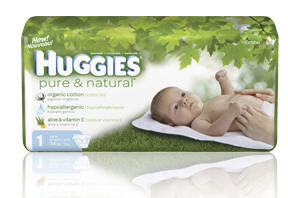 Click here to order the FREE 2009 Spring/Summer Baby Catalog (item #C000BB109) and save up to $100 with the coupon on the back cover 9/25/09. Click here to order a FREE copy of the 2009 Exchange Online Mall Book (item #C000MB09)-contains various coupons and offers valid thru 12/31/09. Click here to order FREE copy of the Home Decor Summer 2009 Catalog (item# C000HD209) and save up to $30 with coupon located on back cover 8/04/09. 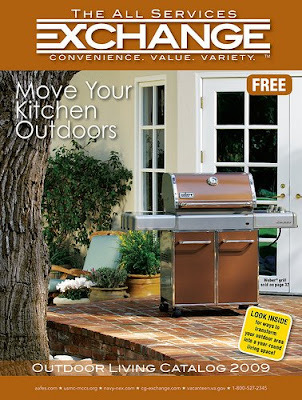 Click here to order a FREE copy of the Outdoor Living 2009 catalog (item# C000ODL09)and save up to $30 with the coupon on the back cover 7/31/09. Click here to order FREE copy of the Jewelry & Gifts 2009 Catalog (item# C000J109)and save up to $30 with the coupon on the back cover valid thru 7/10/09. Great Printable Coupons for Future Commissary Deals?! Here are some printable coupons available now that I would encourage you to print...they are only available for a limited time and may help you save even more with upcoming deals at the Commissary!! These are just a few of the coupons available. Click here to browse the full list. Happy coupon printing!! BR Anchor Publishing Special Discount on Relocation Books for Military! BR Anchor Publishing provides books that address the needs of those who are relocating and take into account parameters such as age, time of life and location/destination. The books for children are written for international and domestic moving. Each contains age-appropriate activities, Internet sites and safety tips all designed to take the apprehension out of moving, and turn it into an exciting adventure. Click here to view the books available and to review pricing. 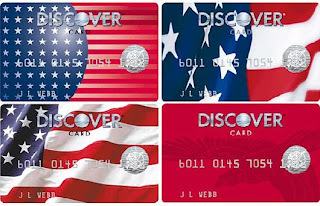 Good news for Discover Cardholders!! From now thru Labor Day (09/07/09), Discover Card purchases at any U.S. Military Base worldwide, up to $1,000, will automatically earn Double Cashback Bonus or Double Miles!! This includes purchases at any of the following locations on base: Commissary, Exchange (BX/PX, NEX, MCX), Shopette/Convenience Store, Exchange catalog, Exchange online store and Exchange Gas/Service Station. Click here to read more about this offer. 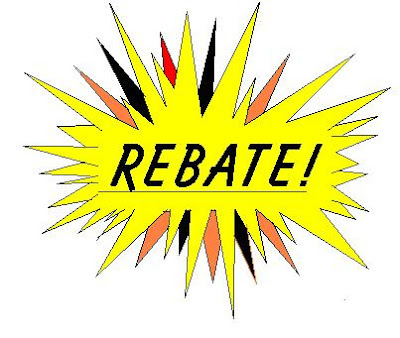 For a complete list of AAFES.com rebates, click here. From now thru June 30, 2009, receive 10% off your one-time Exchange online store or Exchange online catalog order with promo code "9110enews16"
Kenmore Savings Event today only! Purchase any Kenmore appliance over $399 and receive 10% off your order with promo code "9119kenm27"
Having Trouble Finding a Job due to Frequent Deployments? If so, Operation Life Transformed (OLT) is available to provide FREE education and resources to military spouses and caregivers. Active duty military and their spouses, including National Guard and Reserves, War Wounded Caregiver, and Veterans and their spouses. What kind of help does OLT give? -OLT, provides funding for online education, and training certifications that lead to virtual positions or portable positions with immediate job placement with military friendly employers. -OLT also provides direct access to Corporate Human Resource Managers and resume assistance, as well as arranging orientation visits with potential employers (Four weeks prior to graduation, potential employers are notified of graduation date, and students participate in pre-arranged orientation visit with potential employer, scheduled by OLT). What courses are offered through OLT? Fill out the application, then either email to students@lifetransformed.org or fax it to (423) 547-3093. Click here to download the application in Microsoft Word or PDF format. In this FREE webcast, USAA's Certified Financial Planner practitioners will discuss strategies for protecting and transferring your wealth. Topics include how the current economy affects your estate plan, minimizing taxation and estate costs, efficient management of your estate, lifetime giving techniques, and more. The goal is to provide you with information and strategies that can help you make the best decisions for you and your loved ones. The webinar will broadcast from 7 p.m. - 8 p.m. CDT this evening (May 27th). AAFES.com: 10% off GE, Whirlpool, & Maytag Appliances!! AAFES.com is currently running several savings events! Thru tomorrow (May 28th), enjoy 10% OFF your one-time order of any Whirlpool appliance(s) each priced over $345 when you enter promo code 996whrp6 during checkout (code is case-sensitive; offer excludes extended service plans and special orders; available for one discount per sponsor and cannot be combined with any other coupon or offer; discount up to $500 max.). Thru Saturday (May 31st), enjoy 10% OFF your one-time order of any Maytag appliance each priced over $345 when you enter promo code 988mtag1 during checkout (code is case-sensitive; offer excludes extended service plans and special orders; available for one discount per sponsor and cannot be combined with any other coupon or offer; discount up to $500 max.). Click here to begin browsing the deals. Enter here daily from now thru June 1st to win an outdoor water center sink & work station valued at $129.99!! Just when you thought the Commissary deals were done this month...here are even more deals to add to your shopping list!! Print coupon for $1.00 off 2 here. Print the $1.50 off coupon here. Print the $1.00 off coupon here (must register first). Use the $3.00 off 2 coupon from the in-store dispenser. Look for the $2.00 off peelies found on product. Look for the $2.00 off hang tags by product. All of these deals have been added to my growing Commissary Deals list found here. Operation Opening Day-FREE DVD for Detroit Military! "Operation Opening Day" provides a FREE DVD for transplanted Detroit Tigers fans currently on military duty at home and abroad. 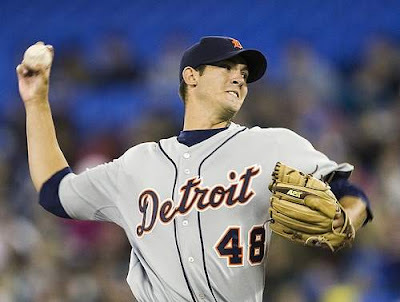 The DVD presentation of Opening Day 2009 is a gift from Mario Impemba that features the game telecast of the Detroit Tigers defeating the Texas Rangers, 15-2 and all the festivities surrounding the annual Detroit holiday. This project is also made possible through the cooperation of the Tigers and Major League Baseball Productions. 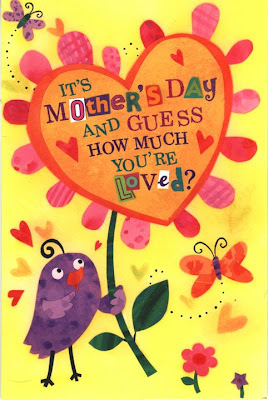 To receive this special gift, complete the form here with a valid military address --APO address, SPO address, FPO address, military base or ship address. "Operation Opening Day" will be mailed solely to valid military addresses as the gift is intended for the men and women currently serving our country. "Operation Opening Day" will be shipped within 4 business days of receipt of request. For any of you flying on Southwest Airlines on Memorial Day (May 25th), you can snag a FREE drink of your choice from the available spirited selections. Simply show your Military ID and enjoy! All Expense Paid Watersports Camp for OEF/OIF Servicemembers & Vets!! Would you like to learn how to water ski or wakeboard? What about trying kayaking, rafting,canoeing, or tubing? Sun Valley Adaptive Sports offers FREE summer sports and activities for wounded warriors with severe types of disabilities. With the towering Sawtooth Mountains out your front door, you’ll be staying in rustic cabins on private land on one of the most pristine alpine lakes in Idaho. The days are sunny, the water is warm, and the nights are starry. The Salmon River is only minutes away. It offers kayaking, rafting, and hot springs. How long: 5 nights, 6 days. 1. Severe TBI/Polytrauma (some combination of severe injuries (TBI, PTSD, amputation, blindness, hearing loss, limb salvage). Family: Yes, a spouse, significant other, therapist, or a family member may join you — for Free! To sign up contact Bert Gillette at (208)726-9298 ext. 117 or email at bert@svasp.org. 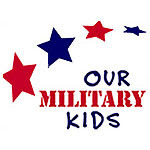 Work-at-Home Career Opportunities for Military Spouses! The Military Spouse Corporate Career Network (MSCCN) has partnered with companies wanting to hire military spouses for work-at-home customer service positions. Full and part-time positions are available. These are NOT telemarketing positions. All calls are inbound and employees take orders, answer questions and offer additional services. Specific details about these opportunities can be found here. To learn more about MSCCN, click here. This offer is valid from May 21st-May 25th, and you must have a valid Military ID. The offer is good for any in-stock or special order merchandise up to $5,000 (maximum discount $500). The offer is NOT valid at lowes.com or for the purchase of gift cards. This offer is valid from May 21st-May 27th, and you must have a valid Military ID. The offer is good for merchandise up to $2,000 (maximum discount $200). Active-duty personnel, National Guard and reserve members, retirees, honorably discharged veterans and immediate family members of these groups will all be eligible for the discount. FREE Online Tutoring from the United States Marine Corp! The United States Marine Corps has now teamed up with Tutor.com to offer "Live Homework Help" to USMC military dependents! -"Live Homework Help" is a free, live, online tutoring service available in English and Spanish 24 hours a day. -Educational support is available for Kindergarten – 12th Grade, College Intro, and Adults. -Subjects supported are all grade levels of math, science, English, and social studies. -Tutors can assist you with any schoolwork challenge you are facing, from basic skills, like grammar help or help with fractions, to a specific homework problem, or help studying difficult concepts and preparing for a test. Simply log on and connect with a tutor and tell the tutor what your challenge is using the chat window. Reminder: FREE Chick-Fil-A Meal Today for Military in San Diego County!! Today ONLY Chick-Fil-A is offering all military AND immediate family a FREE meal from 5:00-8:00PM. There are six Chick-Fil-A locations within San Diego County participating. Click here for more details and for a list of participating restaurants. Use the $2.00 off coupon from the 5/10 SS or print the $1.00 off coupon here. All of these deals have been added to my extensive Commissary Deal's List found here. Additional Commissary Deals-FREEBIES & MONEYMAKERS! Final Price: FREE plus moneymaker! I have added all these FREEBIES to my extensive Commissary Shopping List found here. Print Kraft Coupons NOW for Current Commissary Deals!! 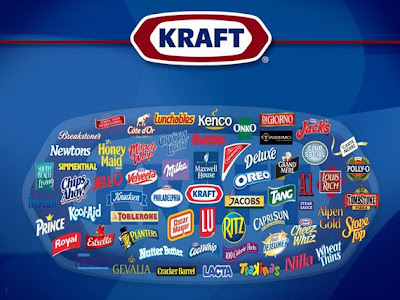 Just a reminder to turn on your printers and start printing those Kraft coupons from here NOW! It is unknown how much longer these coupons will be available...so my only advice is to print, print, print!! 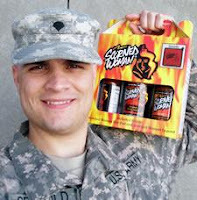 For my extensive list of commissary deals thru June 3rd, click here. Check out this great program I just discovered that allows children to bowl FREE all summer! The "Kids Bowl Free" program is giving away 2 free games of bowling each day as an opportunity for kids and families to enjoy bowling during the summer months. This program is available at the bowling centers listed here. -Each child can bowl 2 free games every day throughout the duration of the program. -Each center has their own age restrictions, as well as any times the coupons are not valid during the day. -The "program start" and "program end" dates are listed on the bowling center page that you sign up with. You can sign up for the program before the start date, but the coupons will not be loaded into your account until the start date has occurred. -Once the program has begun, you will receive an email every Sunday morning that contains a link to your coupons for that week. -When you sign up your kids, you will be asked if you want to purchase "The Family Pass" which was created to allow for adult family members to enjoy bowling throughout the summer as well. (The Family Pass starts from $23.95 and includes 2 GAMES PER PERSON PER DAY. The Family Pass covers up to 4 adult family members. You may have 1, 2, 3, or 4 adults on the family pass.) You are NOT required to purchase the family pass. Click here for more information and to sign up your children! M husband is in the Air National Guard and we don’t live on or near an active duty base. This case lot sale comes to us once a year, we don’t have a PX or a Commissary on base so it was a treat. Most things are in cases but not all. For example you could buy laundry detergent, velveeta cheese, bbq sauce and some canned goods individually. Using my cpns worked out great! For example,I purchased a case of 6 large bottles of Ragu for $5.97. I was able to use 6 0.35 cent cpns that I had making it a real deal at .064 cents a jar! I didn’t get there super early (I have 2 small children). But when I did arrive there were still several cpns available they were giving out. I was able to take advantage of some of them for example I purchased Hefty kitchen trash bags for $8.89 (85 ct box). I had a $1.00 cpn and she gave me a 0.40 cent cpn to use. I was able to use both making the final cost $7.49 for 85 bags! -Plus the Ragu and Hefty bags that I mentioned above. I spent $44.13. I was pleased. Some were better deals than I have found elsewhere some were not. Hope this helps your readers. Have any of you had any great experiences at the Case Lot Sales? If so, please comment below and let us know what you bought and if you thought you saved money. Click here to find out when your commissary is hosting a sale this month. These sales typically only happen twice a year so make sure you "save the date!" Books a Million-20% off your entire purchase today!! 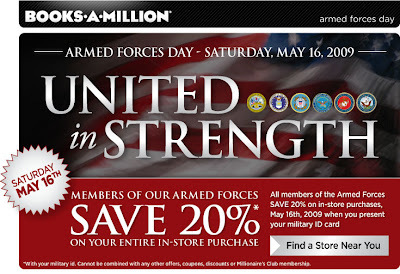 In honor of Armed Forces Day, Books a Million is offering all members of the Armed Forces a 20% discount on in-store purchases!! Click here to read about this offer and to find a store near you (don't forget to bring your Military ID). 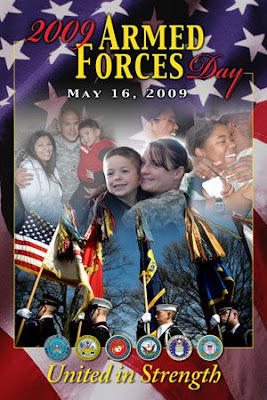 Thanks to all members of the military and military spouses for serving our country! 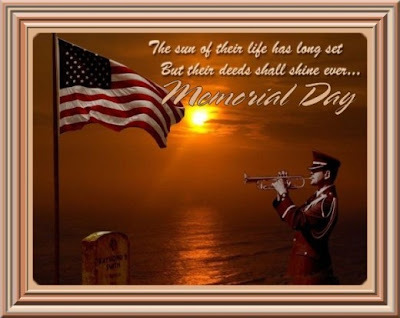 I am honored to have you reading my blog and am so grateful for your service and the sacrifices that you make to keep me and my family safe. Thank you! Just a reminder for all you Arizonians...Famous Dave's Bar-B-Que is offering free meals today. Check out my post here for more information. Get up to a $5,000 grant to buy your first home!! Dream Makers is a program designed to assist those serving our national security who would not qualify for a mortgage due to the required down payment and/or closing costs. -You’re Military (Active Duty, Reserve, Guard or Retired, Operation Iraqi Freedom or Operation Enduring Freedom veteran), a Department of Defense employee or a Department of Homeland Security employee, including the Coast Guard. -You’re a first-time home buyer, or you have not owned a home for the last three years, or you have lost your home through divorce or disaster. Click here to read more about the program and to apply on-line. Print the $1.00 off coupon here or here or print the $2.00 off 2 coupon here or here. Print the $1.00 off coupon here or Print $1.50 off 2 coupon here. Print the $1.00 off any 2 packages Kraft Singles coupon here or print the $0.75 off one Kraft American Deli Deluxe coupon here or here. Use the $0.40 off 6 from the 4/19 SS or print the $0.45 off 6 coupon here. Print the $0.75 off 2 coupon from here. Print the $0.55 off coupon IE or FF or use the $0.55 off 2 coupon from the 4/5 RP. Print the $1.50 off 2 coupon here or IE or FF. Use the $0.75 off coupon from the 5/10 SS or print the $0.50 off coupon here. Print the $0.75 off coupon IE or FF. Use the $1.00 off 2 coupon from the 4/5 RP (expires 5/24!!) or print the coupon here. Print the $3.50 off dove vitalizer when you buy dove cleansing pillows coupon here. Click here to make a pledge and then print coupons to save on Graduate products. Print the $1.00 off 2 coupon here and here. Print the $0.55 off 2 coupon here or use the $0.35 off 1 coupon from the 5/10 RP. Use the $0.75 off 2 coupon from the 4/19 RP or print the $0.55 off 2 coupon IE or FF. AAFES.com Sweepstakes-Win a Trip for 2 to New York City!! Hurry and sign up with Betty Crocker to get the latest meal ideas, coupons, and more!! Sign up with Pillsbury to get the latest coupons as well. These coupons may come in handy for upcoming sales at the commissary!! 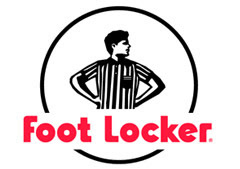 Fact or Fiction: Footlocker Offers Military Discount?! Footlocker.com currently offers a 10% military discount! The Promotion Code for the 10% military discount is LKS4AFD. In addition, most Footlocker stores offer a 20% discount with a valid Military ID!! (I say most stores because every store is under different management and is not obligated to offer this discount). Print the $0.40 off coupon here. **I have added the above deals to my current commissary deal's list found here. Hip2Serve will be away from the blogging world today and tomorrow to spend time with the family! Commissary Goods to Come to Guard and Reserve Centers!! The Defense Commissary Agency (DECA) is arranging to take commissary goods to Guard and Reserve centers across the United States for regional on-site sales. 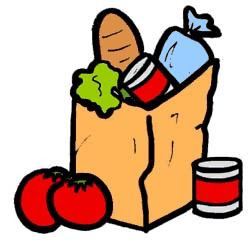 DECA is reaching out to authorized shoppers who have earned the commissary benefit, but cannot easily travel to a local store to shop on a regular basis. To see if there will be an upcoming sale near you, click here. FREE Hormel Compleats Microwave Meal for Military Commissary Only!! 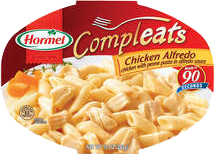 Click here to sign up to receive a FREE Hormel Compleats Microwave Meal coupon to be used at the commissary only. The coupon will arrive in the mail in about 2-4 weeks! Hurry, hurry...supplies are limited. Are you the family member or friend of a combat deployed Marine? If so, you can request a care package to be sent to your Marine for FREE. Packages are shipped five times each year: early January, mid-March, early June, mid-August and late October. To view a list of actual shipping dates, click here. To request a care package for your Marine, complete the form here.